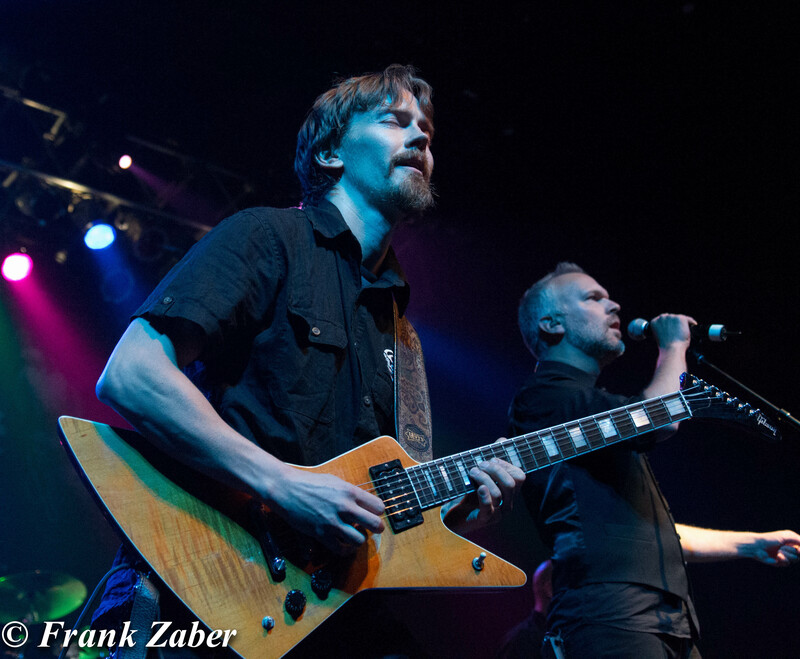 ProgPower USA is the pre-eminent power/progressive metal festival in the western hemisphere – nowhere else will you find such a diverse mix of artists within those genres, and they come from all over the world to play in Atlanta, GA, every September. It’s a unique experience, as many of the bands wouldn’t have the opportunity to play here in the United States, and the fans are lucky to have the opportunity to see some amazing acts spread over 4 days. 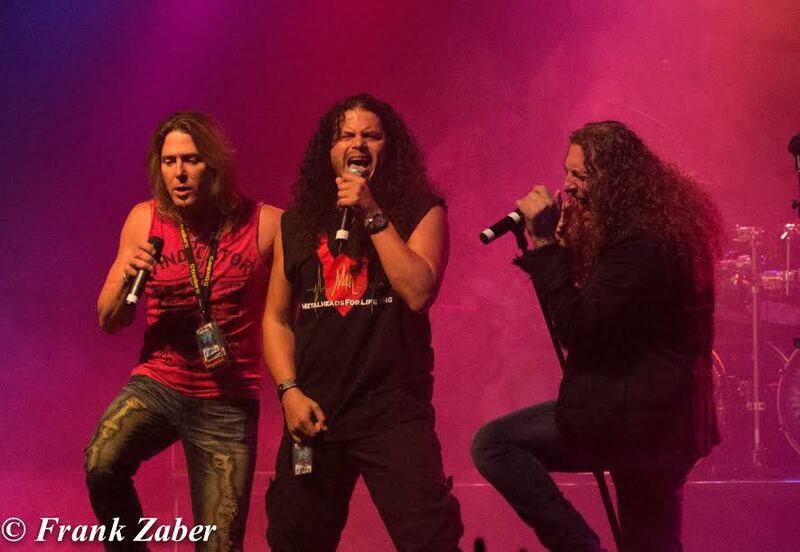 As with any international festival, problems arise, and ProgPower USA XVI was not immune to the visa issues that have been plaguing the U.S. for the last several months. No fewer than four bands dropped from the main festival roster due to issues with obtaining visas (two at literally the last minute) but promoter Glenn Harveston made some great adjustments and kept the festival going at the same high level that attendees have come to expect. Top to bottom, this year was amazing – there was not a weak spot in the roster and zero filler for the entire four days. Let’s get started, shall we? Atlanta’s own HALCYON WAY started things off and smashed through an hour long set to kick off the festivities. They were followed by ASHES OF ARES, playing an hour of songs from their self-titled 2013 debut – an essential set for fans of Matt Barlow! A quick run to the hotel to drop off the excessive amount of merchandise that I’d purchased, and it was time for Australia’s VOYAGER, who spent 50 hours traveling to get to the U.S. for a tour. They had a special set cooked up – they held fan voting to choose an entire album to be played, and the choice was I Am The Revolution. This just happens to be my favorite VOYAGER disc, and they delivered an amazing show! Headlining the first night of the festival was Sweden’s EVERGREY, who I have been dying to see since I first heard of them, and they did not disappoint at all. They played a nice mix of classic songs along with selections from their new album, Hymns For The Broken. It was a great ending to a fantastic first day of the festival, and it would only keep getting better from there. EVERGREY again started off Thursday with a special hour-long acoustic set of their classic songs, and included a cover of IRON MAIDEN’s “Wasted Years” to close out the show before everyone moved to the main venue for the start of the day’s main activities. 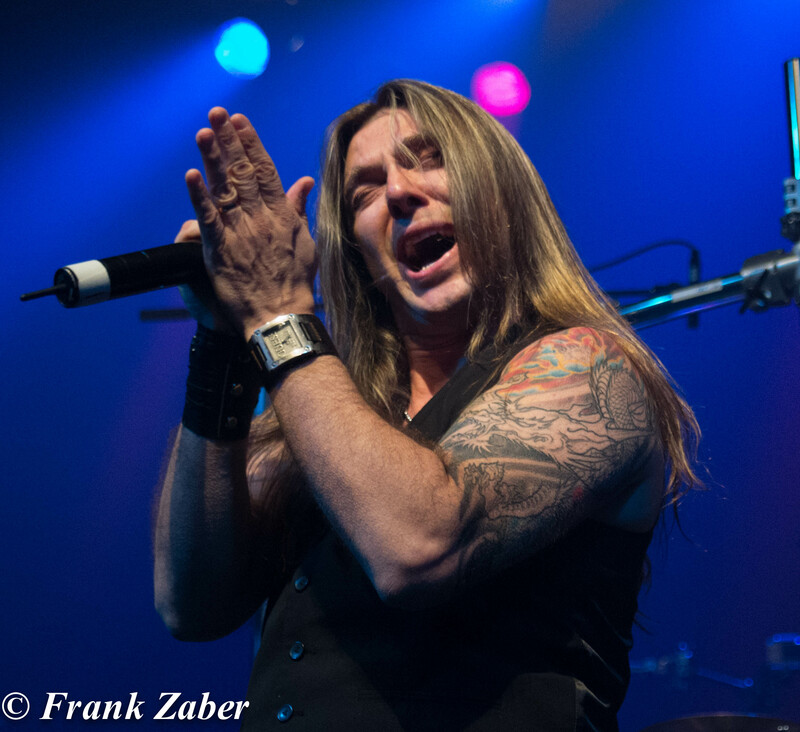 ALMAH (Brazil), fronted by former ANGRA singer Edu Falaschi, kicked off the evening with an energy filled hour of music, including a couple of ANGRA songs. I had overlooked ALMAH in the last few years; their live show really made me appreciate their sound and has me revisiting their catalog. Next up was Sweden’s DRAGONLAND, making their first U.S. appearance. 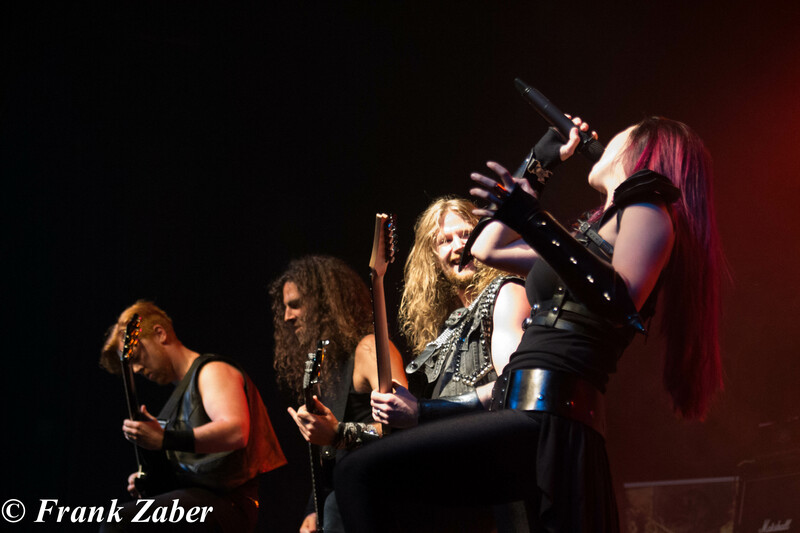 They cranked through 90 minutes of songs from their 5 studio albums, including a duet with Brittney Slayes from UNLEASH THE ARCHERS on “Cassiopeia”. This was a bucket list performance for me, and it met every hope that I had for the set and completely destroyed me. 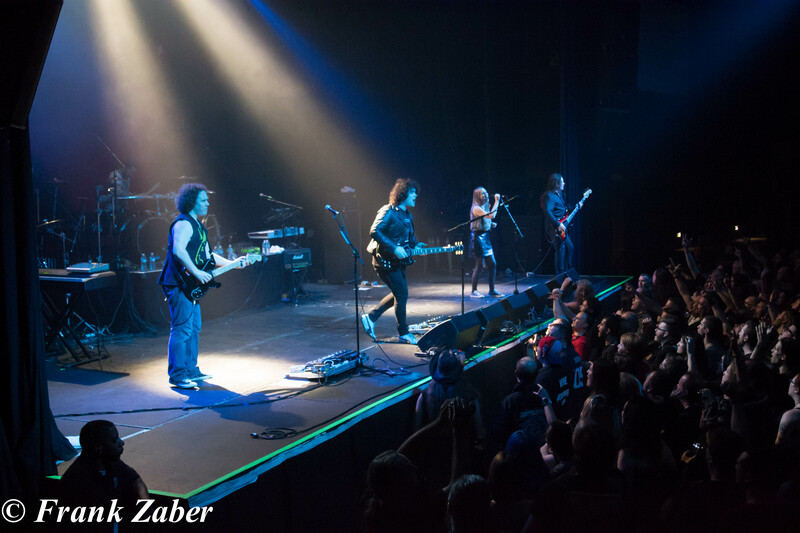 ARMORED SAINT and SAXON finished off the evening, kicking off their current U.S. tour with a pair of great performances of some classic 80’s-era heavy metal, and the huge crowd ate it up. We called it an evening partway through SAXON’s set, but only due to being tired, not because of any deficiency in their performance. HIBRIA was originally slated to launch the main festival proper, but due to a last minute visa issue, there was a quick schedule rearrange, and NATIVE CONSTRUCT (U.S.) took the stage to start things off. They are very prog, and while they did not hold my interest, a lot of people were interested in them. JEFF SCOTT SOTO (U.S.) was up next, and was given a full 90 minutes due to the HIBRIA cancellation. 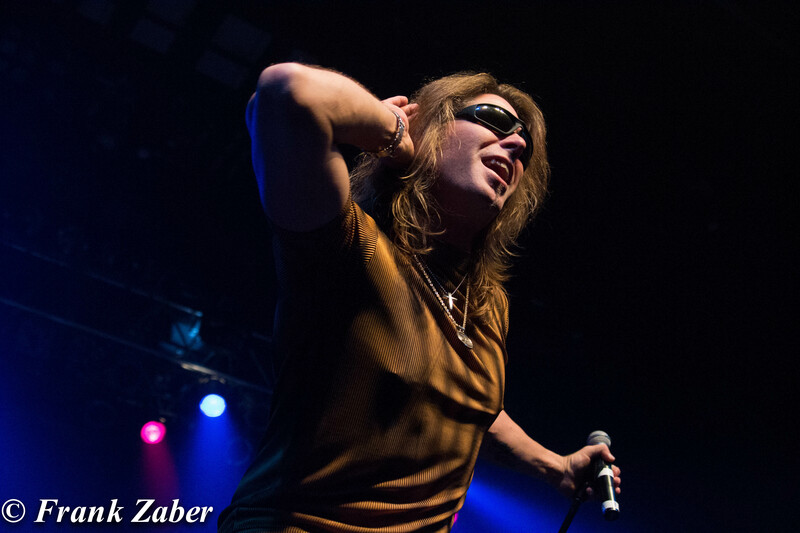 He used every second of that to perform a mostly career-spanning set, including songs from his solo career, W.E.T., TALISMAN, his days with YNGWIE MALMSTEEN, and even a couple of tracks from the Rock Star soundtrack. We were up front for the entire set, and were completely blown away – JSS is an amazing showman and he really impressed the crowd despite not fitting into the power or progressive genres. This was my favorite performance of the festival, hands down. VOYAGER played their second set of the week next, and it was another fan chosen set – this time, the fans chose the individual songs. Some of my favorite tracks made the cut, including “Sober”, “Lost”, “Hyperventilating”, and “I Am The Revolution”, as well as their famous “Voyager Medley,” which included the Game of Thrones and Ghostbusters theme, some BACKSTREET BOYS, and a bit of HADDAWAY. They had a bunch of fun on stage and had a blast, as did everyone in the venue. ANATHEMA (U.K.), the Friday headliner was next. They graciously allowed FALCONER to close the night, and they did a 90-minute set. I’m not a huge fan, but I did enjoy a few songs. The people who were there to see ANATHEMA were extremely satisfied with their performance and many were very emotionally invested in the music. The traditional roster reveal video for 2016 was played just prior to the final act of the evening, and there were a lot of great surprises! FREEDOM CALL,SERIOUS BLACK, FATES WARNING (special Awaken The Guardian set with John Arch) are just a few of the highlights that have me counting the days until next year! 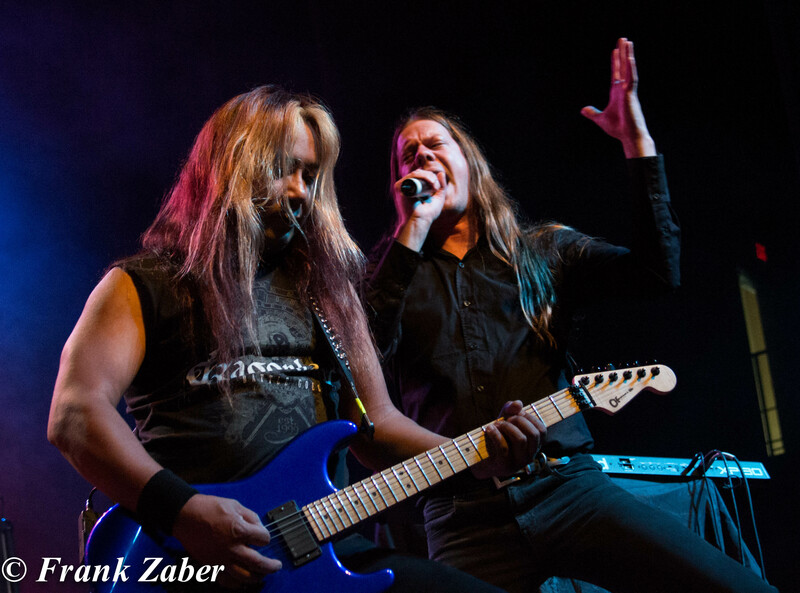 FALCONER (Sweden) closed out Friday night and their live career with a two-hour set consisting of songs from across all of their albums with Mathias Blad on vocals. They took a break midway through to sit down and play three songs acoustically, and mixed things up by playing 3 of their Swedish language songs. 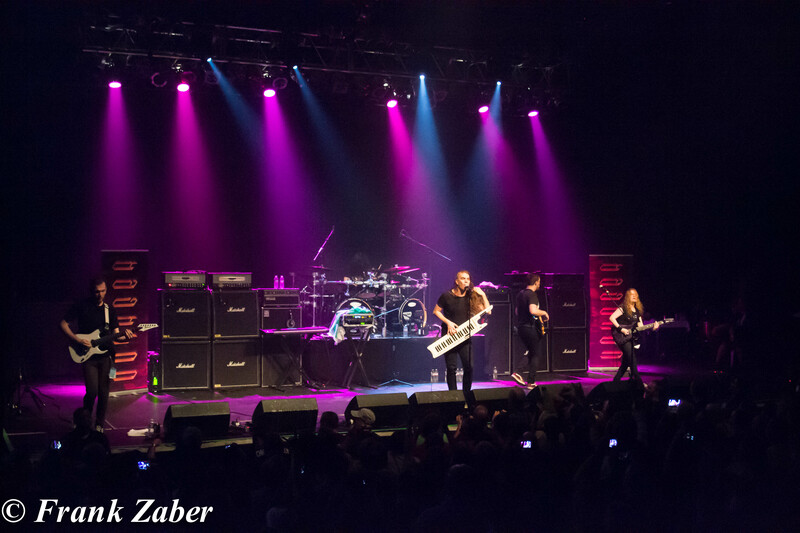 This was their final live performance ever, and some of the band members were overcome by the response that they received from the ProgPower USA family. This was one of the top sets of the festival for me, and I will always treasure being there to witness it. Everyone headed to the Courtyard at this point for one of the legendary ProgPower USA after parties, joined by many of the artists from the first three days of the festival. Eventually, people drifted off to their rooms to get a few hours of sleep and to prepare for the final day of the festival. HELKER (Argentina) kicked off day 2, with Diego Valdez (aka The Argentinian DIO) stomping around the stage and belting out most of their first English language album. They also included one Spanish track, much to the delight of the crowd. DRAGONLAND got a second chance to wow the attendees, as DYNAZTY (Sweden) also fell victim to visa issues despite last minute attempts to remedy the situation (the members of the band still signed autographs, and chatted with the fans all weekend). The guys had the opportunity to perform a couple of songs that got cut from their Thursday set due to time constraints. They also brought a couple of longtime fans, Carl Frederick and Tommy Parnelle, onstage to sing “The Black Mare” with them. That was a great thing to see, and an awesome way to reward their dedication. UNLEASH THE ARCHERS (Canada) was another addition to the lineup due to PERSEFONE’S visa problems, and they really wowed the crowd with their brand of over the top power metal. The audience was really into them, and they had a ton of energy onstage – you could tell that they were very grateful for the opportunity to perform at the festival, and they really fulfilled the trust the Harvestons placed in them. RIVERSIDE (Poland) was up next. While plenty of people raved about their performance later, they’re just a little too prog for me, so we decided to take the opportunity to go have dinner and recharge for the final two acts of the festival. ROYAL HUNT (U.S/Denmark) played their classic album Paradox in its entirety, and they completely obliterated me with the performance. DC Cooper is the consummate frontman, and his voice has stood the test of time. Finally hearing this amazing disc live was a dream come true. Of note, DC’s children were watching from the photo pit – this was the first time that they had seen him perform live. He brought them onstage for a bow at the end of the performance, and the hall gave them a huge round of applause. ANGRA (Brazil) finished off the festival by performing their seminal album Holy Land, and it was the perfect way to end this year. It was a little strange hearing Fabio Leone (RHAPSODY OF FIRE, VISION DIVINE) singing those songs, but he did a fine job, even taking a little time during a break to show off his opera skills during an atypical crowd singalong, reminding everyone that he’s a vocal god. 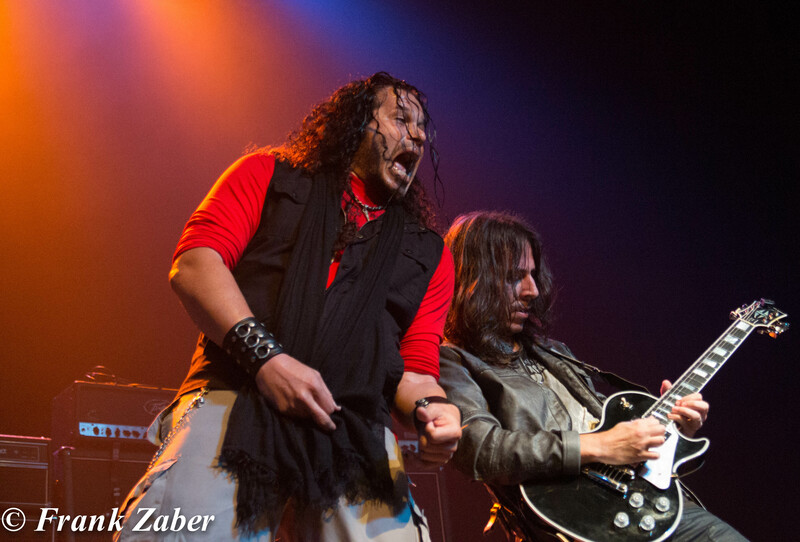 At the end of their performance, Jeff Scott Soto and DC Cooper came out, and the band ripped into VAN HALEN’S version of THE KINKS classic “You Really Got Me”. The curtain then came down on another great year, and after one more outrageous party, it was time to go home again until next September. 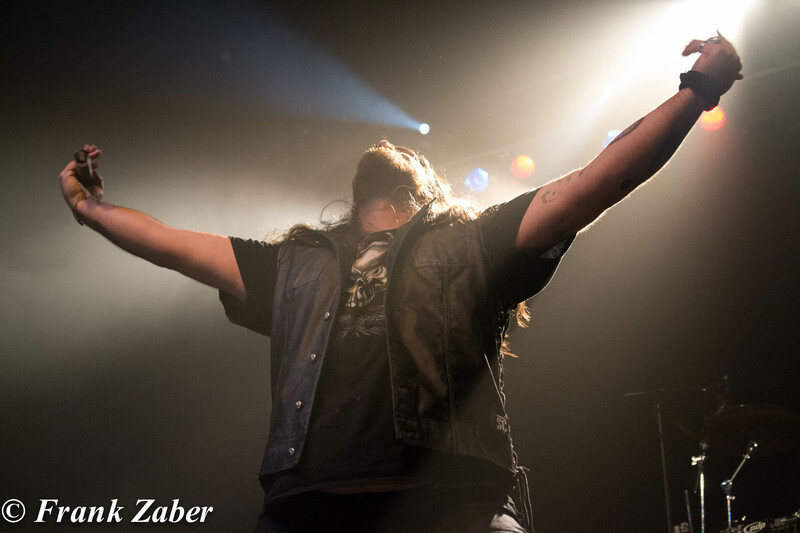 ProgPower USA is more than a festival – it’s an experience, and it’s a family. If you attend once, you’ll keep coming back year after year: for the music, the friends, and the amazing access to all of the bands who genuinely want to be there performing for us. Give it a shot – you might like it.